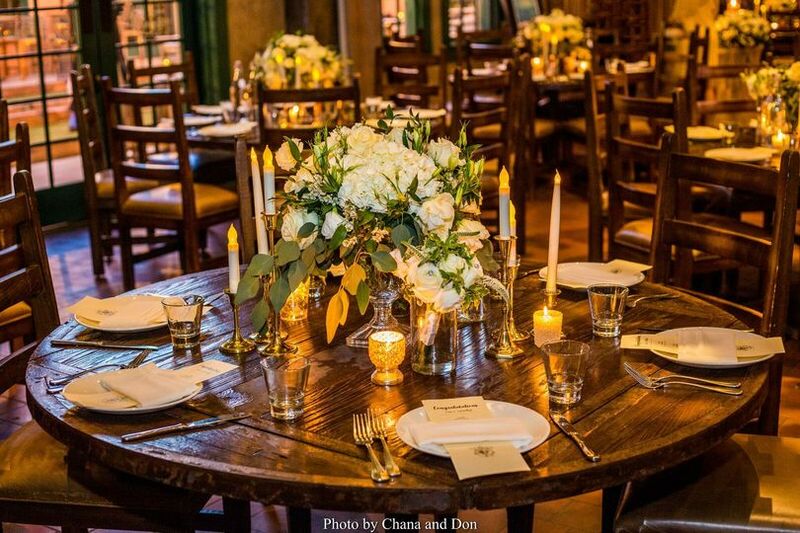 Located in San Diego, California, Stone Brewing World Bistro & Gardens - Liberty Station located in San Diego, California, is a unique restaurant and brewery venue for wedding events. 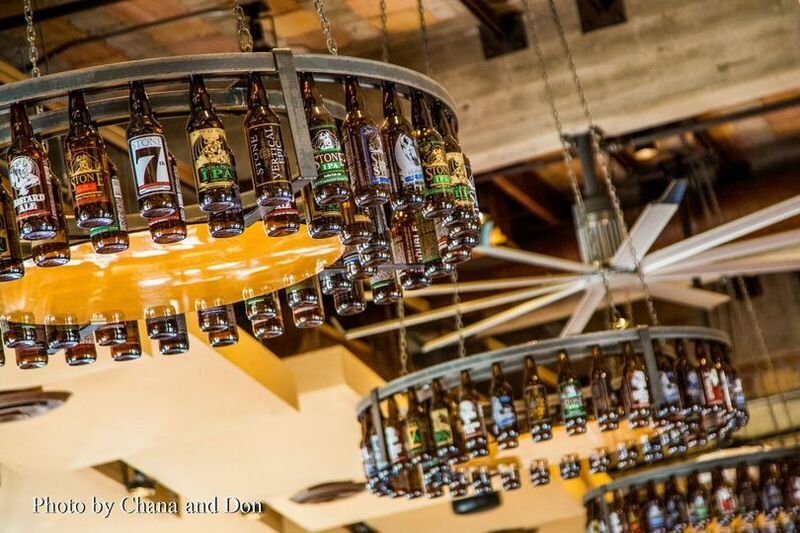 Beer and non-beer lovers alike will delight in the delicious food, welcoming environment, and attentive staff. 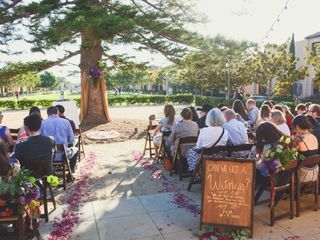 With both indoor and outdoor spaces boasting a historic, rustic feel, couples have their choice of different areas in which to host their event, and can even include their furry friends, as the brewery is pet-friendly. 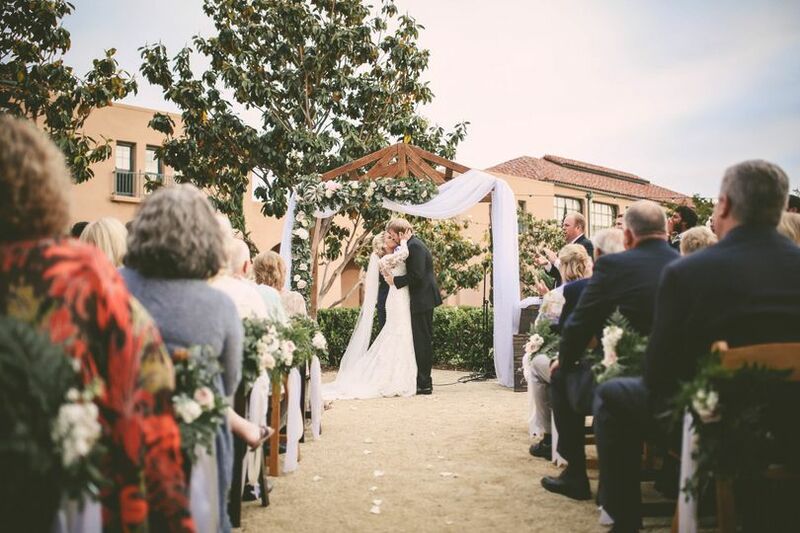 The nine even spaces at Stone Brewing World Bistro & Gardens offer couples the choice of having both indoor and outdoor locations for their wedding ceremony, reception, bridal shower, engagement party, rehearsal dinner, or elopement. 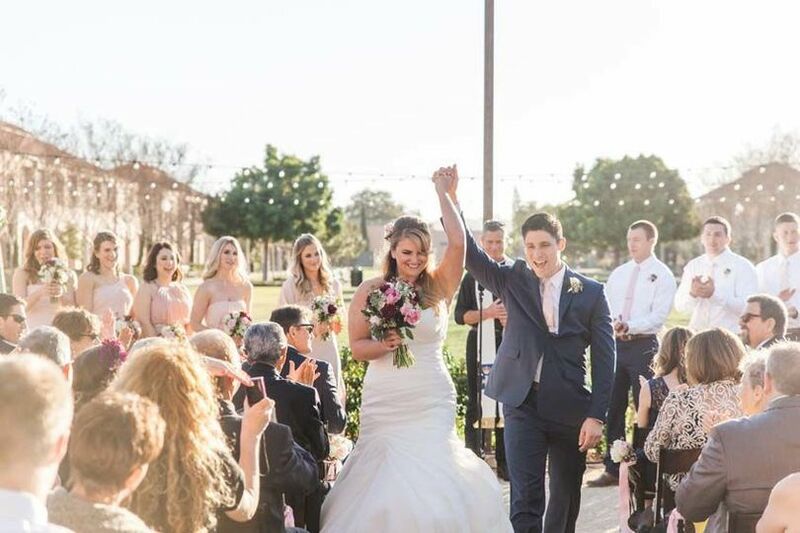 Couples can invite up to 1,000 friends and family to celebrate their union together, and spend their time celebrating in the banquet spaces or in their signature landscaped gardens with a koi pond and fire pit. Guests are free to use the on-site parking at the facility, which also has wheelchair access and shuttle service, if necessary. 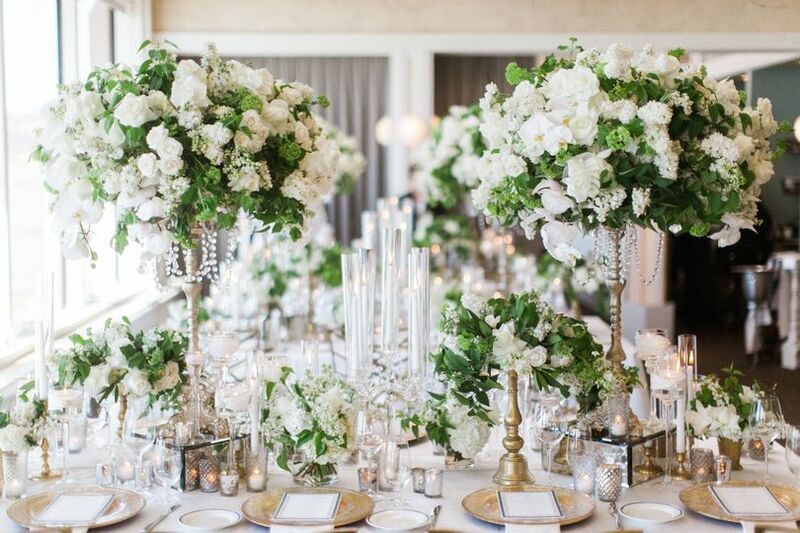 Couples are allowed to bring in their own outside vendors for many of the wedding necessities, such as florals, decorating, wedding planners, and specialty cake or desserts. 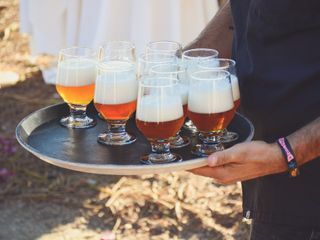 The Stone Brewing World Bistro & Gardens - Liberty Station staff is happy to help set up for an event as well as provide break down assistance afterwards. 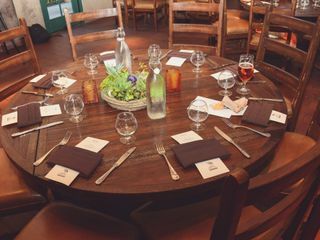 The brewery also has chairs, tables, barware, flatware, linens, china, and glassware that are available for use. 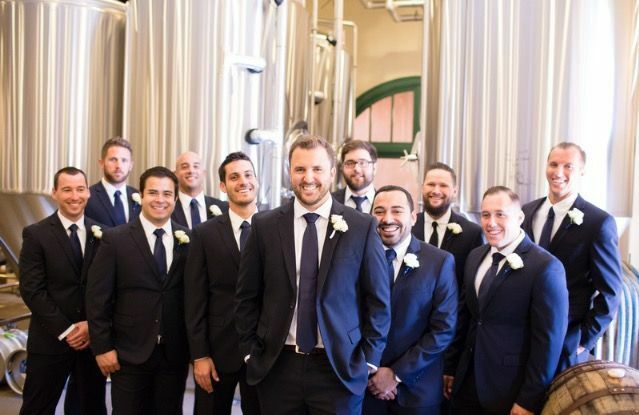 As this venue is a brewery, they have exceptional bartenders waiting to serve your guests a delicious glass of house beer or wine, or specialty beer. 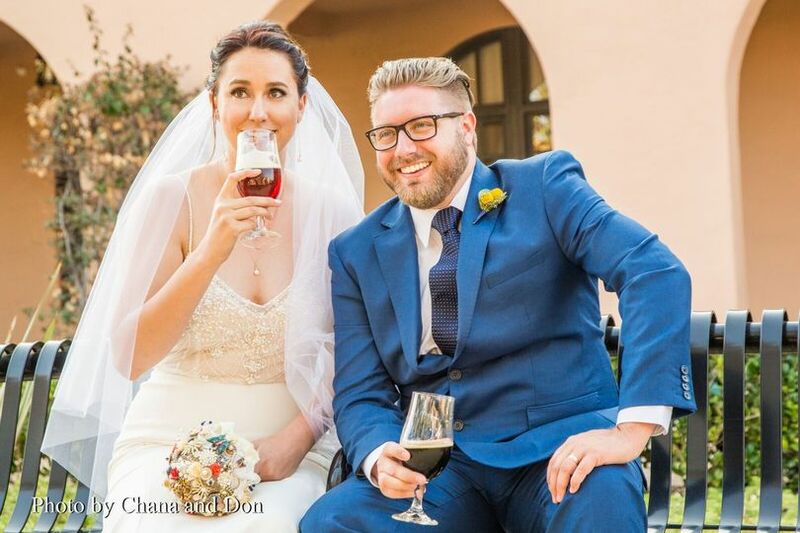 Couples can choose to have an open bar or cash bar at their cocktail hour or reception, and the bar can even accommodate a champagne toast. 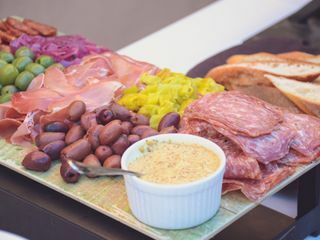 Streets away from the North San Diego Bay, Stone Brewing Bistro & Gardens - Liberty Station is perfectly situated in the Midway District of San Diego. Landmarks such as the San Diego Zoo, SeaWorld San Diego, and multiple parks and nature reserves are less than a 15-minute drive away, while the San Diego International Airport is just over a 5-minute drive from the brewery. 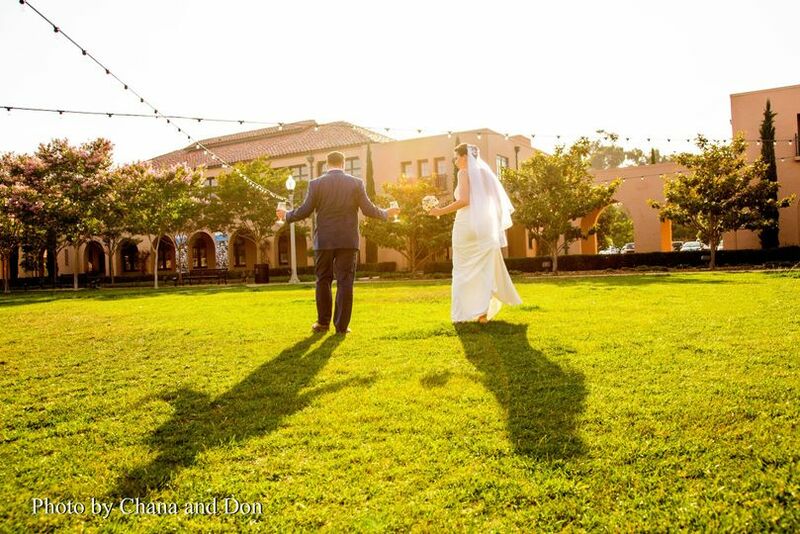 We stopped looking for venues as soon as we talked to Kristina at Stone! 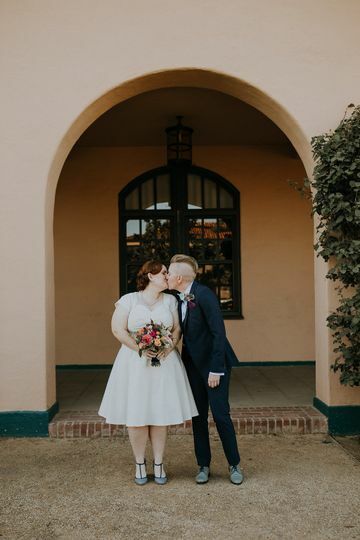 They were amazing from the first day of planning until the day after. They were amazingly fun, flexible, responsive and informative through the planning process. They had ideas and input that really helped us navigate our budget and the day of was AMAZING. They did so much from the set up, to the amazing food, to icing our ceremonial champagne. 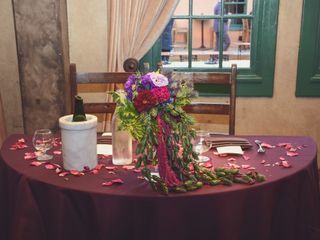 They set up things most venues wont and let us drop off all our decor the day before and pick it up the day after. They had some amazing spaces to choose from and fun add ons including games and AV, I just can't recommend them enough. Stone is an awesome venue! 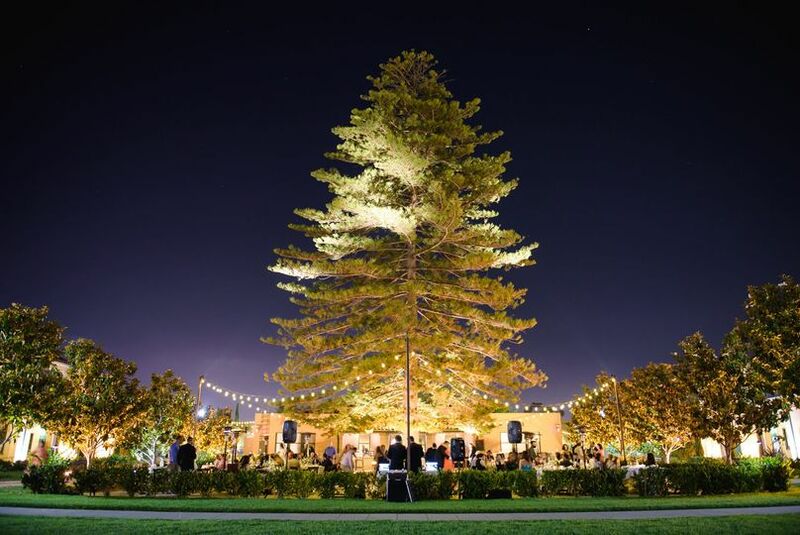 The big tree makes for a killer backdrop for the ceremony. 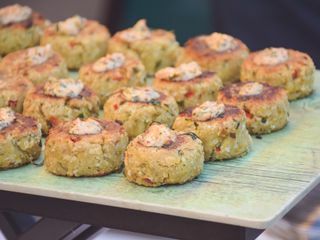 Even though the restaurant is still open you feel very private in the dining halls and courtyard they can offer. The food was amazing as well as the staff. It went off without a hitch and we enjoyed every second of it. 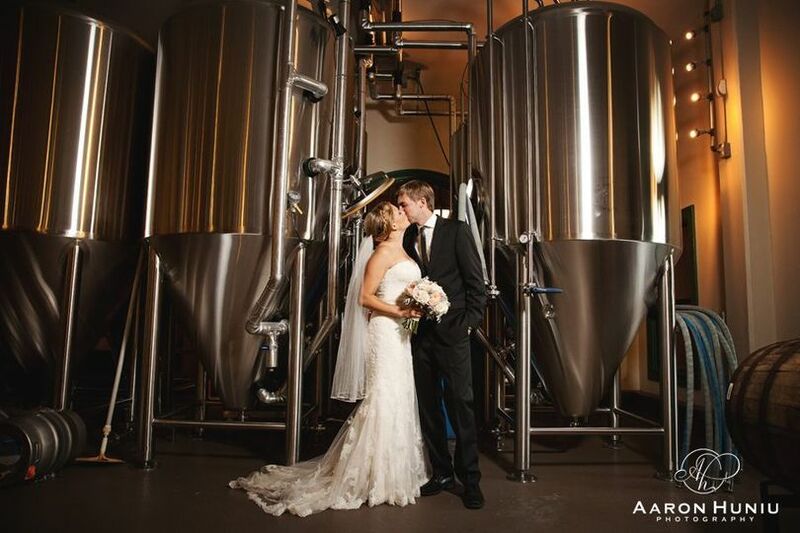 Stone is the perfect fit for your wedding if you love great beer and food. 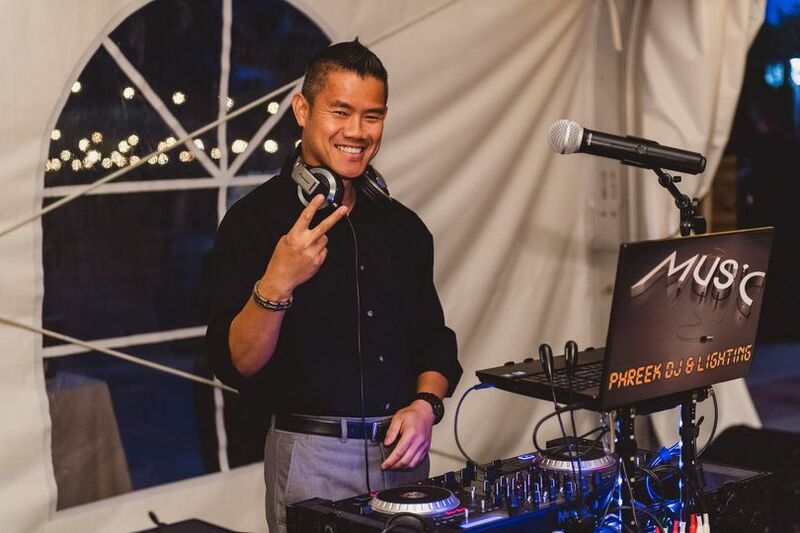 The event coordination staff was responsive and amenable to last minute changes to accommodate unanticipated needs. 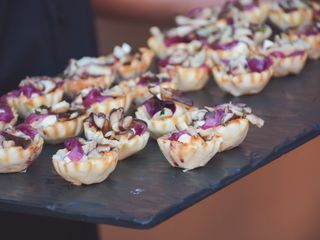 There are so many different options for celebrations and events here! Just an amazing set of spaces, from the outdoor patio and gardens, to indoor historic architecture. 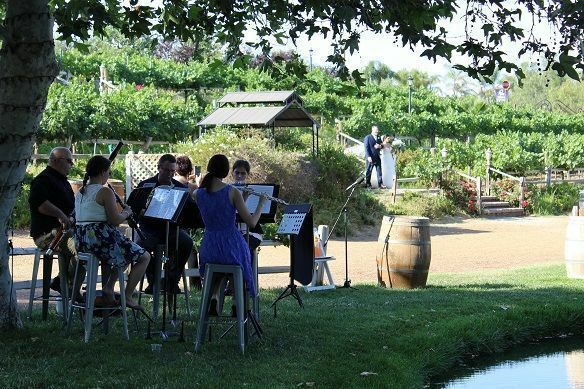 We enjoyed playing for a wedding here and look forward to future events!